Exciting times could be ahead for the Glasgow whisky industry again with a possible new distillery being proposed 1/2 mile away from the new Hydro Arena and the SECC. If this distillery happens it will be the first distillery to open for over 100 years within the Glasgow area at a cost of around £10 million. 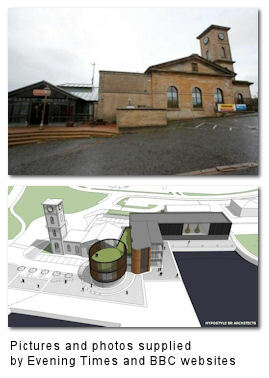 The building of the distillery is proposed to be at the "Old Pump House" at Queen's Dock where the conversion of this new distillery could take till the middle of 2015 to complete. There are a number of companies and industry experts supporting this bid including Scottish Enterprise and a group lead by Mr Tim Morrison (formerly of Morrison Bowmore Distillers and current proprietor of the AD Rattray Scotch Whisky Company). If planning is granted there will be employment opportunities created for around 300 people during the building and construction phase. Then when the distillery opens there will be 25 permanent members of staff to run the distillery. Mr Morrison said: "We see this project as having huge potential - not only for Glasgow but for the tourism industry, the whisky trade and the whole Scottish economy. "Our vision for the new distillery and educational visitor centre is that it becomes a part of Glasgow's busy tourist trail. We anticipate it will attract more than 50,000 visitors a year. "We have had a great deal of support for this project so far - from local businesses, the public sector and those within the industry. "We have taken the next important step in helping to make this project a reality by submitting a full planning application to Glasgow City Council for consideration." MSP for Glasgow Kelvin, Sandra White, said: "It will greatly improve the regeneration of this area of Kelvin, while also benefiting the whole of Glasgow through increased tourism, as well as a much welcomed influx of both construction and service industry jobs."